A test showed that the mortar exploded because of double loading. 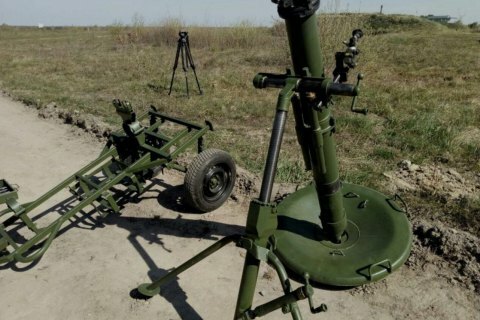 A crime reconstruction has showed that the explosion of a Molot M120-15 mortar at the Rivne training range on 6 July happened because of the human factor, namely double loading, Deputy Defence Minister Ihor Pavlovskyy has said, according to Ukrinform. Three servicemen of the 15th detached mountain infantry battalion were killed and nine wounded when the Molot exploded during an exercise. "Yesterday we held an additional test with the involvement of the Kyiv Forensic Institute, the prosecutor's office of the Western Region, the Military Order Service, representatives of research institutions, we imitated nearly all the events which could happen directly during the implementation of the tasks and had the following results: a dual charge of the mortar and the firing of it caused the same destruction to the mortar barrel as on Friday (6 July)," he said at a meeting of the parliamentary committee.